Our Spanish grape varieties available as frozen must. Great winemakers know that great vintages begin on the grapevines. That’s why Grapemasters invests so much time and effort to find outstanding vineyards. To help you make great wine, we look for the best vineyards in recognized appellations such as Napa and Sonoma. Then we go further to find other exceptional growing areas in Niagara, California and Chile that produce grapes of excellent calibre. 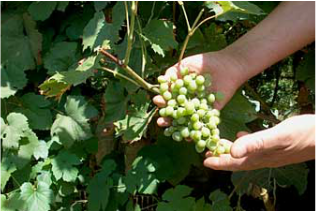 We also look extensively at organic and sustainable viticultural practices since numerous studies have shown that vines produce better grapes when not fed a buffet of artificial fertilizers. Of course, this is just a partial list. Our purchase decisions are always based on client requests, availability and, most importantly, quality. We value our relationships with the wineries and grape farms we deal with, and purchase only the grapes that Mother Nature has smiled upon. I make, and drink the wine from these grapes, not just sell them, so the grapes we carry must have my seal of approval. Cheers! A heavy producer, up to 11 tons per acre in California, yields are held back in accordance with Montsant Appelation regulations, dramatically increasing its quality. Deep rich color, medium tannins, with loads of red berry fruit and earthy notes on the nose, and a higher level of acidity than other grapes of the region. It is a perfect blending grape, but is also perfectly well left alone as a 100% varietal. The perfect climate for big Cabs- long growing season, warm days, cool evenings, drip irrigation when necessary and a vineyard manager that loves his cab- loads of black fruit, rich tannins, and big aromas. 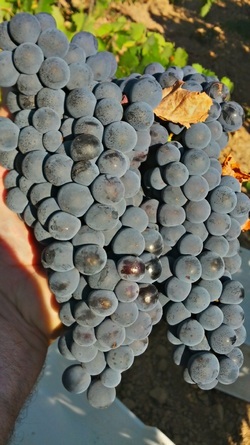 Grenache grapes are grown throughout the Mediterranean and are a dominant grape variety of Langedoc, Cotes Du Rhone. It finds itself up to 90% in great Chateau Neuf Du Pape wines. Much richer if flavour and colour than typical California Grenache. A textbook example of great shiraz, or Sira as the locals call it. Loads of jammy spicy strawberry and raspberry, big body and a long finish. This blend is dominated by Grenache Blanc, with a splash of Muscat Alexandra and Macabeo for color. The locals prefer fermenting to bring out the beautiful fruit aromatics.